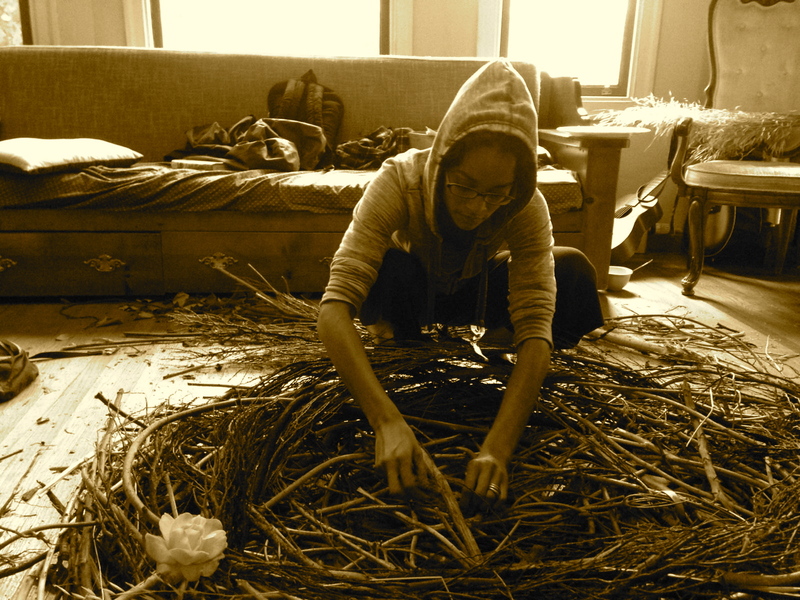 Weaving together memory and nest for the Discendants show in honor of my dad and other ancestors (interactive installation interweaving painting, sound, poetry performance, and nest which held participant’s memories of and messages to their ancestors). In Defense of Magic. Experimental Film Short Collaboration with Poet/Writer Manish Vaidya (Peacock Rebellion). 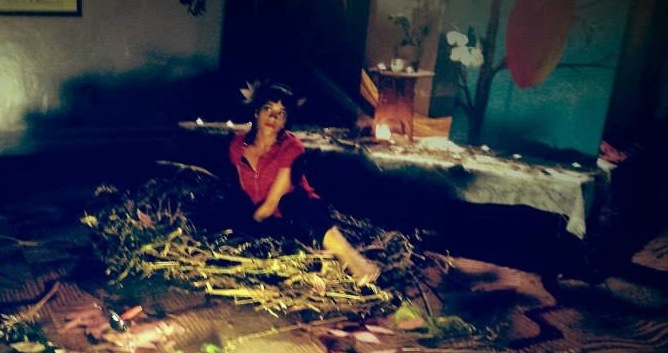 Selected for Mangoes with Chili multimedia performance show Everything You Touch You Change (2015) and FREE: Visions of Freedom (2013) at African American Art & Culture Complex (AAACC) in San Francisco, CA. Small Works for Big Change. Small prints with healing messages showcased in handmade frames for SRLP’s largest annual fundraising event to support gender liberation movement work in New York City (2014-2015). The Birds Remind Me: Honoring Ancestral Connections. Poetry, performance, and installation pieces reclaiming our ancestry. For Discendants: Frequency, Resonance & Memory Show (2013) at the African American Art & Culture Complex (AAACC) in San Francisco, CA. Alright With Me. Femme-inspired clothing line highlighted by the EdenPride Fashion Show (2013) in collaboration with Show & Tell Concept Shop at the Supper Club in San Francisco, CA, 2013. Resilience & Resistance. Five-minute film short on the power of cultural production for community liberation, with Oakland-based spoken word poet-educator, Erika Vivianna Céspedes, at the 8th Annual QWOCMAP Film Festival, 2012.